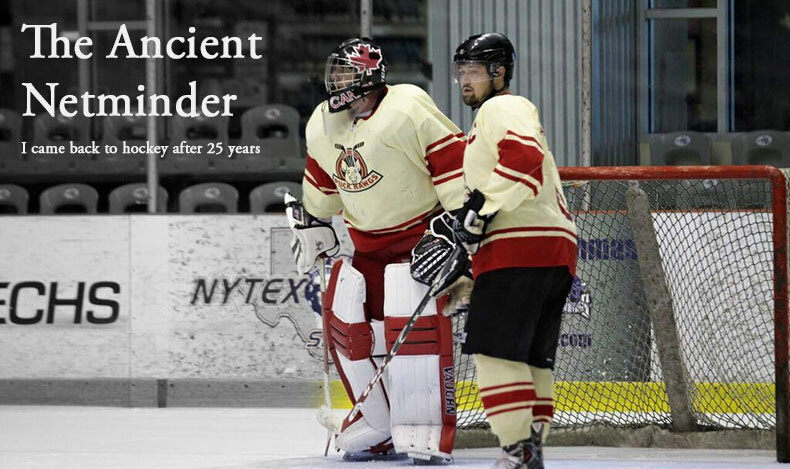 The Ancient Netminder: Who Would Want Me? So I passed the first test. I am skating. Maybe not with the strength and flair I recall from my youth but let's be honest. Good memories have a way of getting better over the years. In any case, I feel good enough on the ice to move onto step 2 of my plan. In my years of lurking at the local rink and watching adult leagues I was always curious how someone like me would break back into the fraternity. Having moved to north Texas in 1999 I had no ties to organized hockey and none of my friends played the great game. I had seen notices posted on the rink's bulletin board with calls for players needed to join this or that team and sometimes a league. But without any ice time I had no illusions of calling someone out of the blue. I imagine the call..
Me: Soo uhh, you're looking for a goalie? Hockey Guy: Ya man! When can you play? Me: Uhhh well here's the thing. I don't have any gear and I haven't actually played since before you were born. Sometimes I'd see signups sheets for leagues with designations like "I", "D" and "C". None of this meant anything to me. Playing junior hockey in Canada when I was young meant you were on the "A- Travel Team" playing tournaments and prime ice time or else you were hauling yourself to practice with all the wanna-be's at 5AM. "he asked twice if I was inquiring about a team for me or my kid." But I was ready for the next step so I sucked up my pride and approached the rink manager armed with questions. He was helpful although he asked twice if I was inquiring about a team for me or my kid. Soon enough he and I agreed that a good starting point would be the Adult Instructional League (I-League) which he assured me would be full of beginners of all ages- a perfect starting point for an ancient net minder who hasn't played in 25 years.